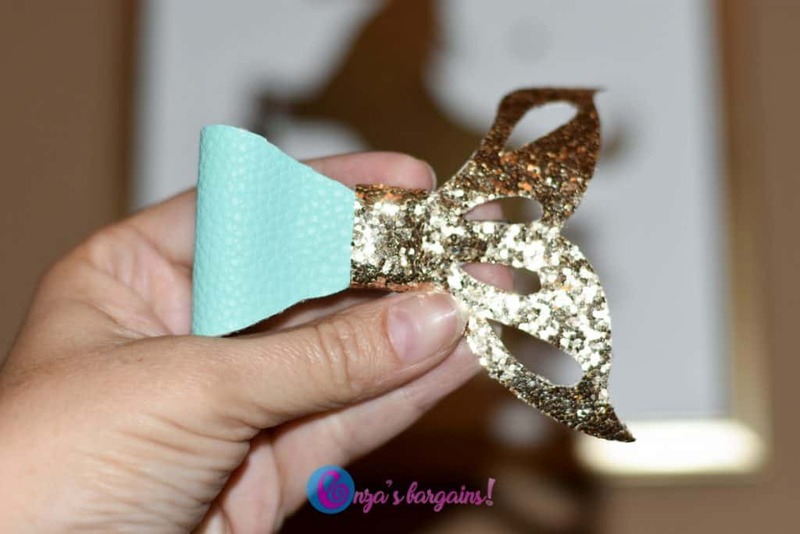 Are you looking to make an Easy Cricut Mermaid Bow? I am so shocked on how easy it was to make. Honestly, the toughest part to make was drawing the image to cut. 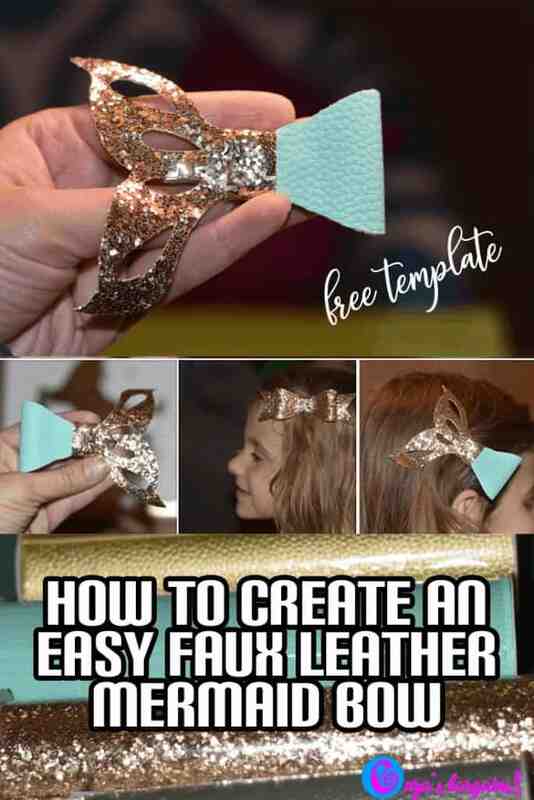 I have been looking at faux leather bows for a few days now and I finally decided to figure it out. This blog contains affiliate links. At no cost to you, if you choose to make a purchase with one of our links, we earn a small commission. 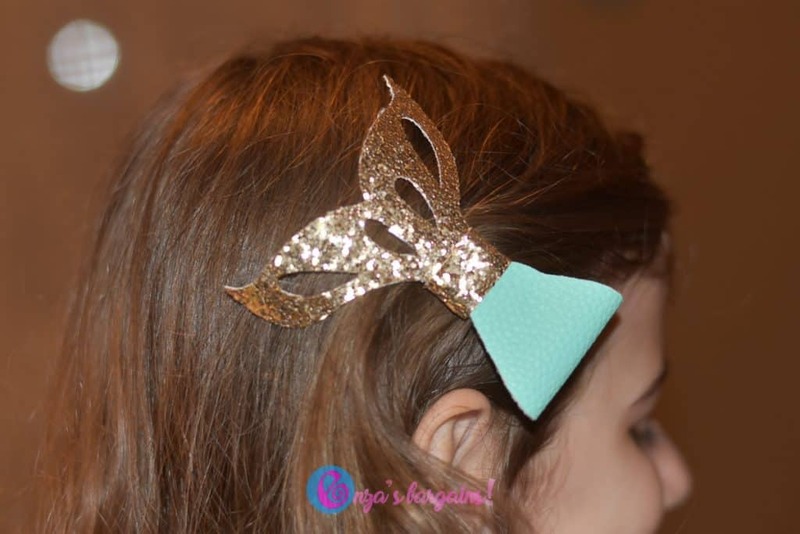 If you have an Air 2, of course you can make faux leather bows with your Cricut! It is easy! I made mine on the first try! Faux Leather Wide Ribbon (on sale for 2.49 at Hobby Lobby). I also liked these on Amazon! Use the Standard Mat (Green). 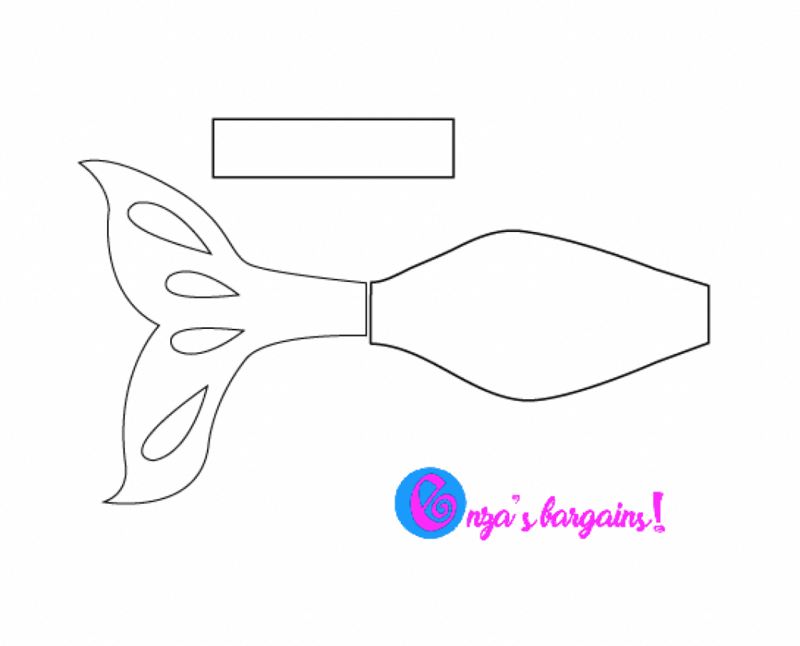 I resized the Mermaid Template so that the Mermaid Tail was 3 Inches. I used the Faux Suede setting on my Air 2. First, I cut the Glitter Canvas Wide Ribbon with the glitter side up. I ended up cutting it twice then using my scissors to clean up the pieces that didn’t cut through. You could cut it 3 times if you would like. Then, I cut the Faux Leather Wide Ribbon with the colored side down (touching the mat). I also cut this one twice but you could cut this 3 times. Using a hot blue gun I let the leather piece fold over and glued it with the tail in the center. Then, I glued the alligator clip on the back. Last, I glued the center piece to loop around for a clean look. 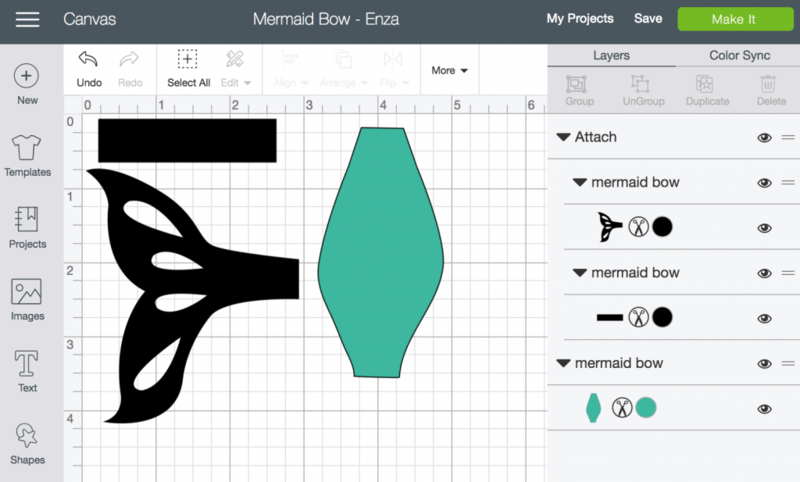 Get my SVG or PDF Mermaid file. You do not have permission to repost and share the file alone. Please share this entire page view. Remember that I do not charge for my creations to use them but you cannot distribute the file by itself. You must send someone to my web page to download. 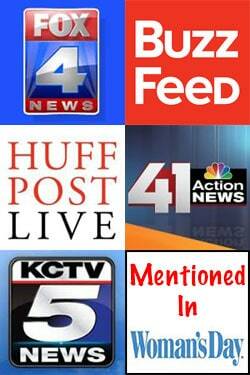 The only way that I am able to do this and share is by getting the page view to my website. That is the best way to support my small business and my family. Thank you for your understanding. If you agree then you can download our pdf file here. 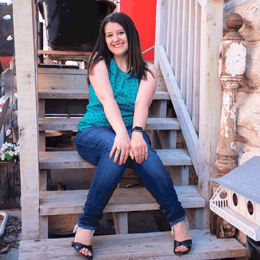 You may use my contact form if the PDF file doesn’t work for you. 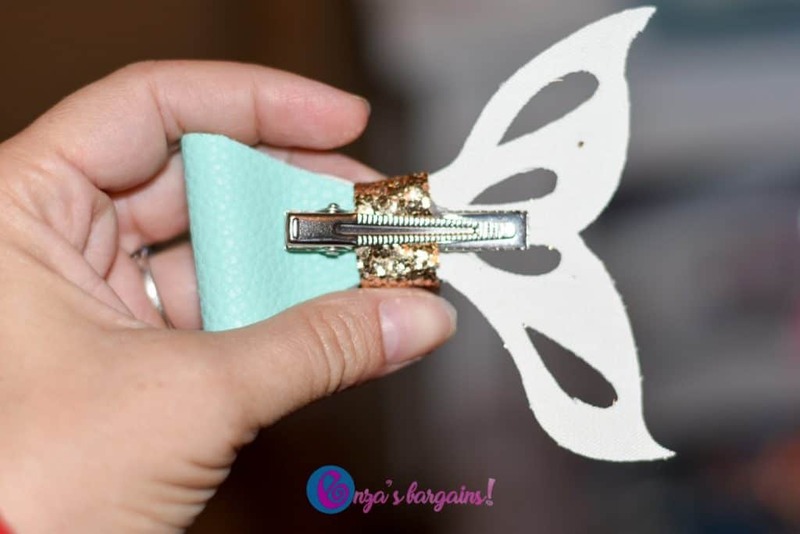 Be sure to also check out Cricut Tips for Beginners post we shared. You will be making bows and gifts in no time! I don’t have a cricut but my sister does and she loves making bows for her girls and mine too. I’m going to share this with her. Thanks for sharing with me! 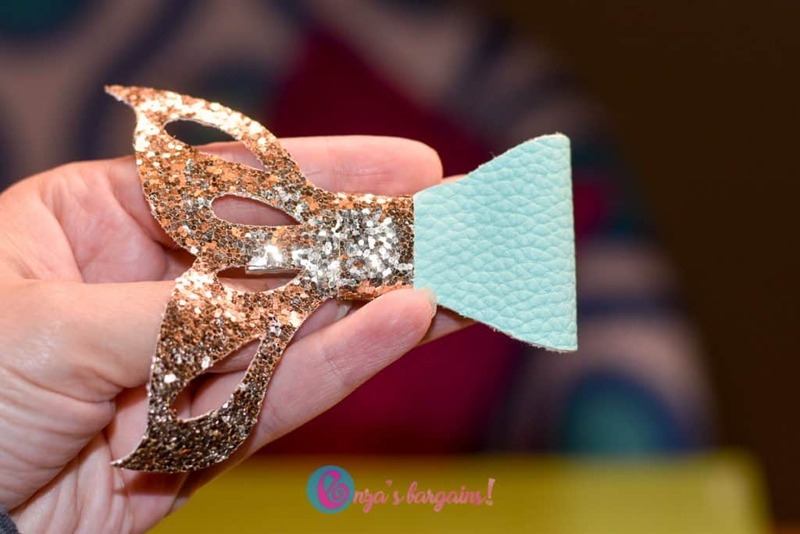 Love your mermaid bow. I need the file in a different format – svg or png. Thanks. If you right click the template your computer will save it as png! I love this bow! So beautiful. Thanks for the file!